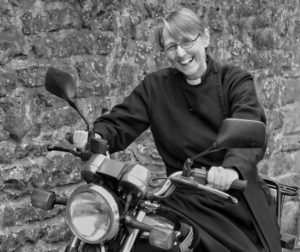 In this week’s news you will find a first message from our Chaplain designate, a reminder from our treasurer to consider your giving as she prepares the budget for 2018 and several dates for your diary (first up our pancake feast). Hi – and Candlemas greetings from Kara. Candlemas marks the climax and conclusion of the Advent / Christmas / Epiphany journey and we now turn to face the new journey of Lent / Holy Week / Easter. I too feel somewhat between journeys – interviews and visits and paperwork all completed, yet working to tie up loose ends here and find somewhere to live there, before the ‘here’ and the ‘there’ can change places. But times of transition are great opportunities for reflection on the leaving as well the arriving. I look forward to meeting you in due course and the journey we will share for a while, companions on the Way. My absolute favourite part of being a priest is to be able to bless people. So may you be richly blessed on your Lenten journey and the celebrations of Easter when they finally arrive. Though I mostly don’t bother, my New Year’s resolution this year, was to ‘Talk less, and Say more’ !! At the same time as we are all excitedly looking forward to the arrival of our new chaplain, I am compiling our accounts for 2017 and the budget for 2018. As usual, we are scraping the cents together to make ends meet. Unfortunately, our income was below the expected (pledged) level in 2017. So I would like to ask you to consider checking whether you made the donations which you pledged in 2017. There can be many reasons for not making the full donation and I expect that members moving away is the main one. But, this is a small reminder in case your donation was forgotten during the year or in the Christmas rush. Equally, if you are new to St. Catherine’s or thinking of amending your planned giving in 2018, it would be very helpful if you could let me know. The financial planning for 2018 and onwards looks like it will be quite tricky, so any additional donations will be very welcome and likewise it will be important for us to understand any other changes. I must add however, that we can only issue a German tax letter (Spendenbescheinigung) for 2017 for donations actually made to the Church in 2017. I will be working on these Spendenbescheinigungen in the next few weeks and will send them out as soon as possible. For this I do need your postal address, so if you think I may not have this, please do send it to me at bookkeeper@stcatherines-stuttgart.de. If you have any questions, please let me know. The 2017 accounts and 2018 budget will be presented at the AGM! Order a copy of the accompanying 112-page booklet with all of the readings, prayers and reflections, which costs around 3.50 EUR plus postage. If there is enough interest then I would be happy to place a bulk order, but please let me know by this Monday 5 February at the latest f you’d like one. – Receive the daily reflections by texting Lent to 88802 or following the campaign on Twitter, Facebook and Instagram, where they will be posted daily. Dear friends from around the Deanery of Germany,…. idea of what to expect. If you haven’t it is time to find out. his or her own meals. entrance fees at places where cheapter group tickets are possible. close registrations at 15. So be one of the first 15! anbei die Termine vom Wandertreff “Treff30Plus”(EJW-Förderverein). Die Teilnahme ist mitglieds-/gebührenfrei und erfolgt auf eigenes Risiko. Die Teilnehmer sind i.R. Ende 30 bis Mitte 50. Die Teilnahme am Gottesdienst ist optional. Die Wanderung beginnt in der Regel direkt im Anschluss an den Gottesdienst vor der Kirche. Mitwanderer sind herzlich willkommen. Hier der Flyer mit den 12 Terminen für 2018.Organisatorische Fragen direkt an den Veranstalter. There is a monthly service “GospelHaus” in the Friedenskirche.